Last week, Arrested Development dropped the first half of its fifth season on Netflix (the second half will be released at an unspecified later date, an interesting strategy that Netflix is also using for the fourth season of Unbreakable Kimmy Schmidt). It's been five years since the fourth season dropped on the streaming service in May 2013 - and, of course, when the fourth season was released it had been seven years since the abrupt conclusion of the series' original run on Fox. The revival of Arrested Development was one of the first Netflix original series and arguably the major flagship of Netflix's foraging into original content (along with House of Cards). In many ways, it's a great representation of this new era of peak TV. The cancellation of the original run of Arrested Development had long been one of the biggest examples of a network failing a widely beloved series, and Netflix swooping in like a savior to bring the show back after nearly a decade off the air seemed to signal a new era of TV, where a fan-beloved but slightly off-kilter sitcom could succeed and even thrive without the constraints of network television. 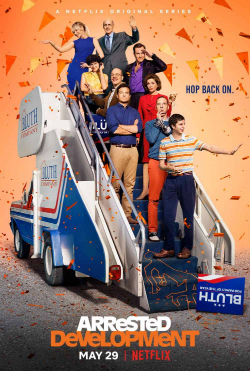 And yet, through-out both the fourth and fifth seasons of Arrested Development, two thoughts often popped into my mind: 1) It's super cool that they were able to bring this show back, and 2) This show probably should've stayed dead. To be fair, the fifth season of Arrested Development is not bad. It's an improvement upon the messy fourth season, which had some great moments but never quite lived up to the sum of its parts. The jokes are tighter and funnier, and the chemistry of the entire cast bouncing off of each other allows it to have more of that classic Arrested Development vibe that Season 4 was missing (the fourth season focused on each characters' separate journeys and rarely saw them in the same place at the same time, largely due to difficulties syncing the cast's schedules.) But while the show gets the rhythm and the pacing of Arrested Development right, it all just feels a little tired. The spark of the original run is only there in spurts - in many ways, it feels like the later seasons of many long-running sitcoms, where everyone is sort of on autopilot, getting through the motions of the show without ever truly aspiring for something more. That's not true of everyone - Alia Shawkat truly gives it her all in what may very well be Maebey's best season, Will Arnett does a great job handling some surprisingly emotional GOB material, and Jessica Walter's Lucille is as perfect as she's ever been - but for the most part, the fifth season of Arrested Development never makes a great case for why it needs to exist. That could change when the second half of the episodes drop, as a lot of these episodes felt like they were cleaning up the messes that the fourth season left. But as of now, it's hard to get too excited about the prospect of more Arrested Development, which is something I never thought I'd say before the Netflix revival seasons. FX has ordered a third season of the critically-acclaimed and award-winning comedy series Atlanta. 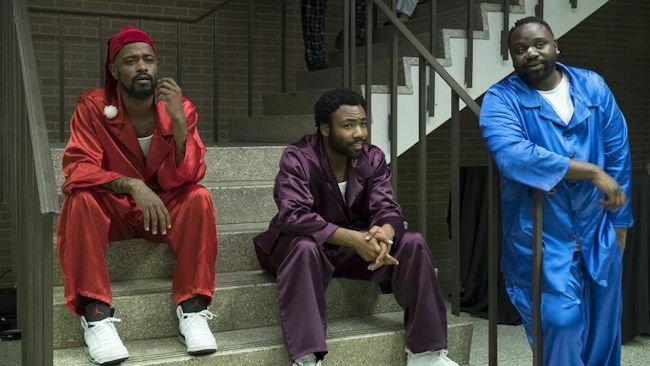 The premiere of Atlanta Robbin' Season, the latest chapter in the Emmy(R) Award-winning comedy series, nabbed the best ratings of any recent basic cable comedy. The first season of Atlanta won two Emmy(R) Awards as well as two Golden Globe(R) Awards and AFI, Peabody, PGA, WGA, TCA, NAACP and Critics' Choice Awards. In the recently concluded Atlanta Robbin' Season, two cousins work through the Atlanta music scene in order to better their lives and the lives of their families. "Earn Marks" (Donald Glover) is a young manager trying to get his cousin's career off the ground. "Alfred Miles" (Brian Tyree Henry) is a new hot rapper trying to understand the line between real life and street life. "Darius" (Lakeith Lee Stanfield) is Alfred's right-hand man and visionary. "Van" (Zazie Beetz) is Earn's best friend and the mother of Earn's daughter.